Download the registration form to be a part of the Computer Skills Training program. Come and have fun while learning over the summer! Purpose: To be the “go to” entity for the procurement, delivery, setup, configuration, repair and/or replacement of all computer systems, peripherals and network related products. 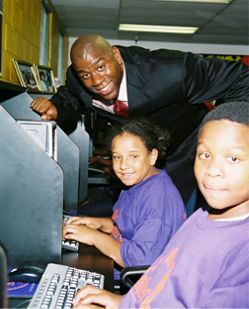 Whether they are in our showcase Magic Johnson Empowerment Center, Pathway to College Room, Homework Center, Job Club Room or in the Center’s gym, we are there to insure that all of the Center’s computers and related equipment performs to both our and industry standards. We are the overseers for the formulation and development of all curriculum used to provide instructional training in microcomputer applications to all EOYDC clients and/or assigned personnel. We created and have maintained the website and the local area network. We are also responsible for the creation of all graphical representations of the Center; we passionately believe that you can only make a first impression once. Mission: Operating within the Project J.O.Y. (Job Opportunities for Youth) Department, our main focus is to train those individuals, who for various reasons do not possess the basic computer skills required to be competitive in today’s job market. Goal: As you will notice we have made extensive use of the word “concepts”. It is our contention that after spending approximately 35 hours being guided through each of the subject material, we will avoid producing the one dimensional individual whose “computer literacy” is limited to turning the computer on and working with one specific application. We strongly believe that our graduates, armed with a working knowledge of hardware and software, will be more productive and creative, and destined to become a valuable asset to any organization that is fortunate enough to hire them. In the alternative, they would have the confidence to pursue further academic studies leading to a degree or other credentials. Classes are self-paced to ensure quality one on one instruction whenever necessary. Students will have the opportunity to work with up-to-date, industry standard hardware and software. They will be required to actively take part in lectures, voice their concerns on the subject matter, and complete hands on exercises and work assignments in a timely manner. Students are also encouraged to assist others. Program enrollees are expected to be on time for their assigned sessions and to make up all assignments missed during an absence. This course is offered periodically, (based upon participants’ request) to provide highly motivated students with some insight as to the knowledge required to become a certified computer technician. The course is set up to provide students with some insight as to the knowledge required to become a certified computer technician based on the instructor’s personal experience, and supplemented by information based on current A+ Certification requirements. This class was designed to help our young participants ages 8 to 17, understand the basic operations of the computer as it relates to everyday use. The class is divided into two sections: ages 8-12, and a Teen Computer Class for those ages 13-17. 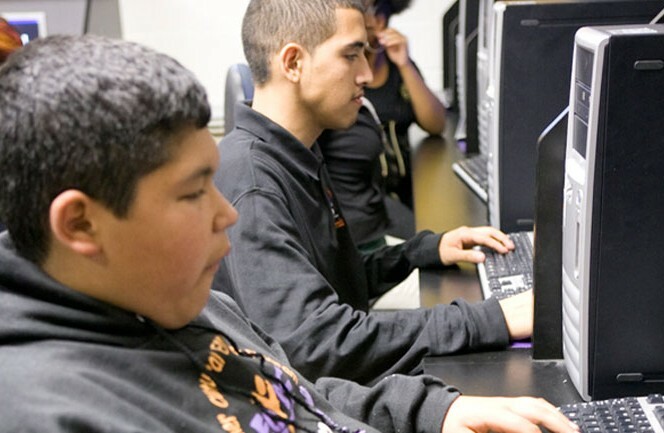 The long-term goal of both classes is to teach students how to use the computer to complete school projects and assignments. The ten week class focuses on building the participants’ keyboarding and word processing abilities, as well as Internet research skills. Students who do not have a computer in the home are able to complete homework assignments and conduct Web research on the Center’s machines.